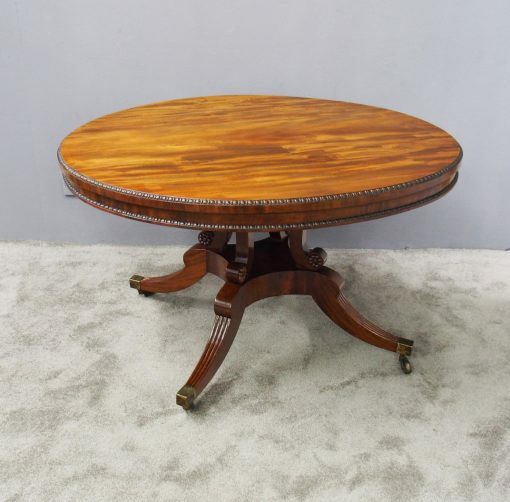 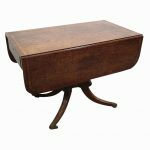 Circa 1815, Regency mahogany breakfast table in the manner of William Trotter, Edinburgh. 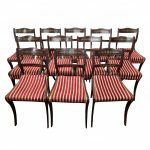 The top in flame mahogany has a beaded fore-edge and similarly beaded frieze, standing on 4 shaped uprights with carved flower heads to the sides. 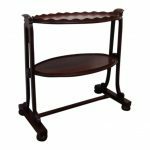 It stands on a raised platform base with 4 hipped sabre and reeded legs and finishing on brass castors.